There is certainly no mistaking where this is! 168001 approaches Tackley station at high speed on Sunday 20 June 2010 with the 1G50 17:55 Oxford to Birmingham Snow Hill Chiltern Railways service. 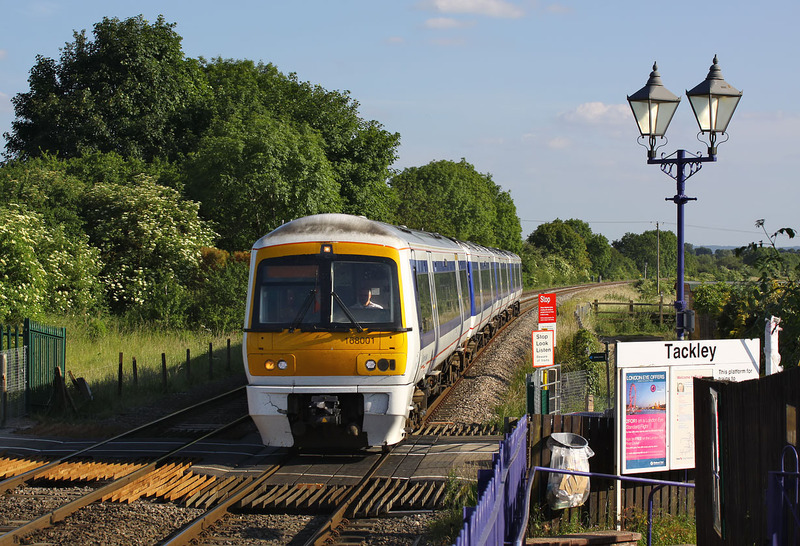 As the Chiltern Line was closed for engineering works, trains were running to Oxford to connect with First Great Western services to London. This brought the unusual sight of Class 168 units to the Cherwell Valley Line.